Tofutti Better Than Cream Cheese. I am not a huge cream cheese fan anyway, but I've been wanting to try as many dairy substitutes as I can. I probably wouldn't slather my bagel in this stuff, but a thin skim of it adds just enough flavor. I like it! I'd definitely substitute it for regular cream cheese in recipes like cakes, I've heard it's a good substitute in cheese cake... I just might have to try that out. 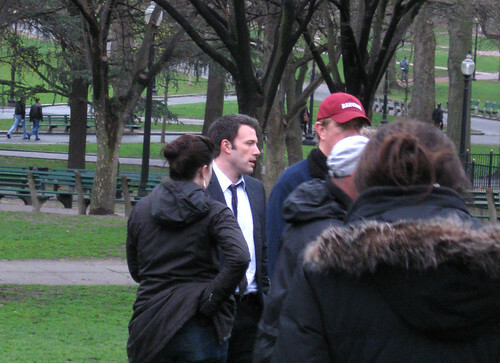 That faraway gaze that Ben has? That's him dreaming of me...and Tofutti cream cheese. 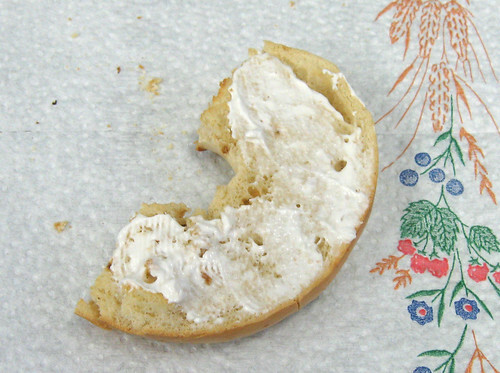 I so agree he is better than cream cheese! I will have to give the tofutti a try if I ever find a gfcf bagel that I can tolerate. I'm also gluten-free, casein-free, and my fiance is not...and loves cheesecake, it is by far his favorite dessert. I made a GFCF cheesecake with this stuff and he loved it and you couldn't tell it wasn't a regular cheesecake.